Kosa by Tech Lighting is lighting designed to project modern simplicity. This dome-shaped flush mount illuminates a smooth wash of light through an LED diffuser and generously fills the surface below. 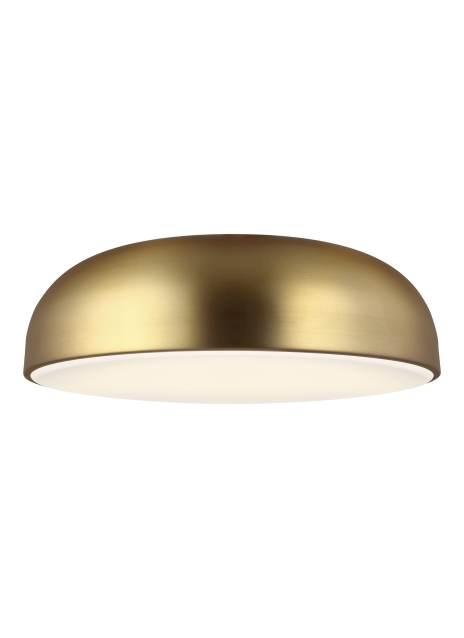 Offered as a 13 inch diameter flush mount in three modern finishes, the Kosa is a great compliment to any room or hallway setting. Shipped with your choice of LED lamping for your convenience. Lamping options are compatible with most dimmers. Refer to Dimming Chart for more information. Includes 120 volt 25.6 total watts, 1350 total delivered lumens, 3000K LED module. Dimmable with low-voltage electronic dimmer. Dimmable with most LED compatible ELV and TRIAC dimmers. 277V compatible with 0-10V dimmers. Ceiling mount only.